Your GI system will be chipping away at your pre-race dinner the morning of your race. Avoid taking in foods loaded with fats and proteins. Instead, go for an easy-to-digest meal composed of a carb like sweet potato or quinoa, an iron-rich cruciferous or leafy green veggie like spinach or broccoli, and maybe even a moderately sized protein portion, such as small serving of salmon. Aim to wrap up breakfast two hours before the starting gun. It doesn’t have to be fancy—leftover carbs from the night before work just fine. Try 300 to 500 calories’ worth of salted sweet potatoes, which is easy on the stomach and shouldn’t cause indigestion. Wash it down with 24 ounces of water, and in the time between breakfast and the race, take in another 24 ounces. Breakfast isn’t absolutely necessary, and if you had a good-sized dinner the night before and don’t feel like waking up at 6:30 to eat, downing a banana a few minutes before the event should be enough to keep you going. The ideal warm-up should include 5 to 10 minutes of easy aerobic jogging, 2 to 4 hard 30-second intervals to get you breathing hard, and a series of arm and leg swings while you wait for the gun to go off. This will keep you loose and help avoid cramps—not to mention staving off the shivers for those off-season races. Push yourself at a “seven” on the 1-to-10 scale. This should get you breathing deeply but your legs should only feel a little bit of burn. Focus more on leg turnover and smaller steps than on big, loping strides. Your body will thank you later. After the halfway mark ratchet up to your maximum sustainable pace. 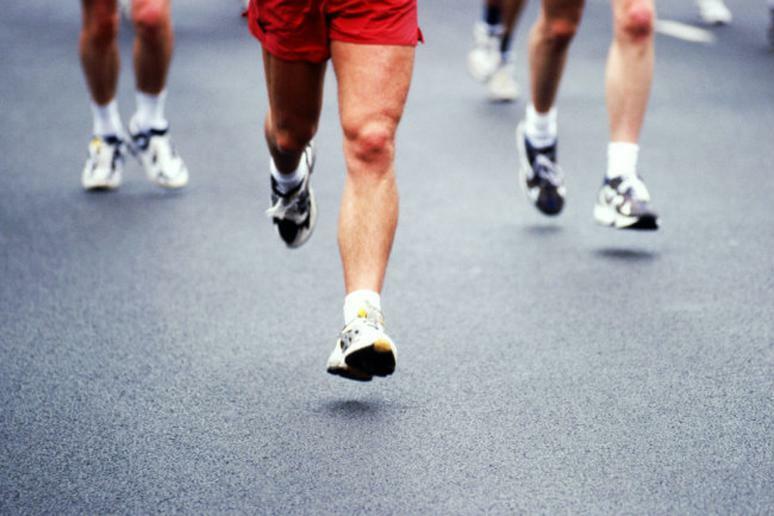 Keep up your leg turnover but lengthen your strides and push off from the ground with greater effort. To break things up—especially if this is your first 5 or 10k—walk briskly for 30 to 60 seconds at the 2.5, 5 and 7.5k mark. Your body has enough energy stored up to last about two hours, and while you don’t technically “need” to eat or drink anything during a 5 or 10k race, there’s nothing wrong with treating yourself to an energy gel or a half a banana halfway through the race. Take a couple sips of water along the way, too, but this shouldn’t be necessary because you hydrated properly in the morning—right?